Anne Ngugi’s first motherhood experience was tough given that she was only 25 when she gave birth to a daughter who was born with a birth defect. 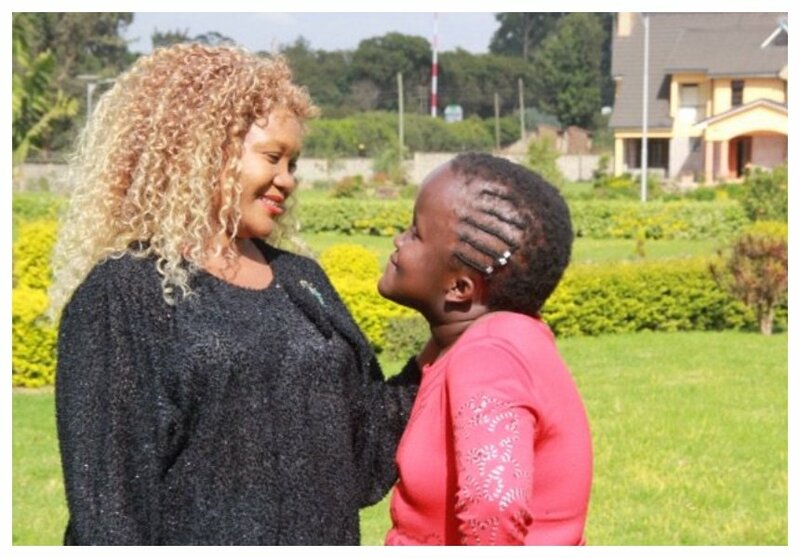 Anne’s daughter Angel Ngugi was born in 2004 and she had congenital hydrocephalus – a condition that causes excessive accumulation of cerebrospinal fluid in the brain causing the head to swell. Angel, who is now a teenager, is a talented singer. She was recently featured in a song titled ‘Niko Sawa’ by another physically challenged girl called Audrey, who became blind while growing up. Angel made her debut in music in 2016 when she featured her mother in the song ‘Nataka Jua’. But it was not easy for Angel to get where she is today. Angel opened up about her struggle growing up with a condition that caused her head to swell. In an interview with BBC, Angel reveals that sometimes people laugh when she passes. “I used to ask my mom a lot of questions, ‘mum, why am i different from other people? Why is it that when i pass people laugh at me?’ She didn’t have an answer fro me apart from singing,” said Angel.